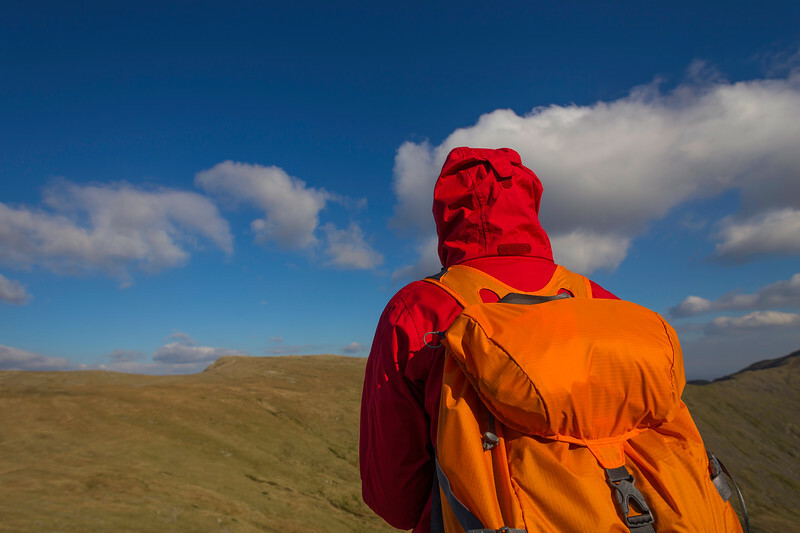 A hiker walks on top of mountains with a red jacket and orange backpack. Rear view, Lake District. UK.